The Agricultural Inputs Section of the Plant Industry Division of the Georgia Department of Agriculture is comprised of seven regulatory programs. Each program has specific rules and regulations to follow. The Feed Program administers the rules and regulations related to animal feed minimum quality standards for items offered or exposed for sale in Georgia. The program is responsible for the licensing of feed manufacturers. 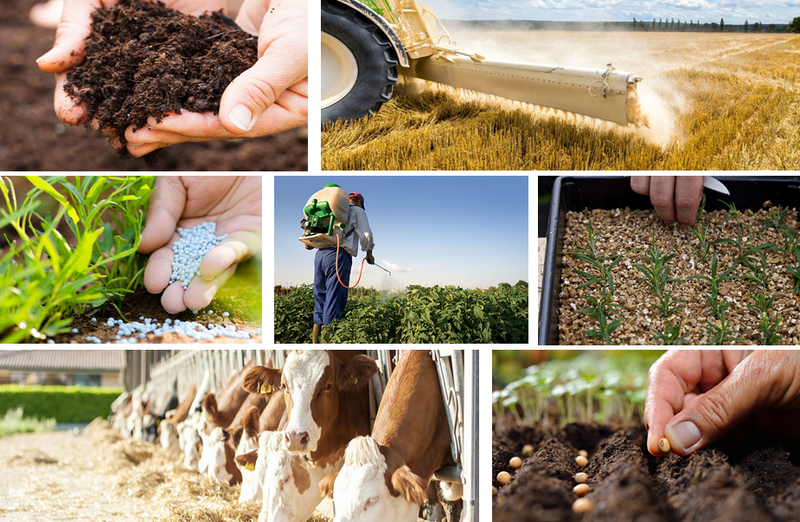 The Fertilizer Program under the Georgia Fertilizer Act requires persons who manufacture fertilizer in Georgia to be licensed and specialty fertilizer products must be registered. Tonnage reporting is required for Ag use fertilizers. The Georgia Horticulture Growing Media Act's regulations maintain consistency in the potting soil industry. The Georgia Department of Agriculture registers potting soils and regulates tonnage. The Georgia Liming Materials Act of 1996 requires those who distribute liming materials in Georgia to be licensed and all products registered. This Act also regulates tonnage reporting. The Pesticide Program's regulatory authority originated in 1976 with the promulgation of the Georgia Pesticide Control Act and the Georgia Pesticide Use and Applications Act. This program protects Georgia consumers by regulating the labeling, distribution, storage, use and disposal of pesticides throughout the state. The Soil Amendment Act of 1976 requires soil amendments in Georgia to be registered. This Act also requires tonnage reporting. The Georgia Seed Law mandates that all seed dealers be licensed before seed can be sold, distributed, or transported into Georgia. Therefore, all establishments offering, exposing or distributing seed for sale in Georgia must apply for a seed dealer's license. Farmers, seed conditioners and dealers submitting samples for analysis are assured of standardized testing methods that provide reliable estimates of seed quality.